I LOVE this rug. It was exactly what I had been looking for for weeks and I was thrilled to find it as such a great price. 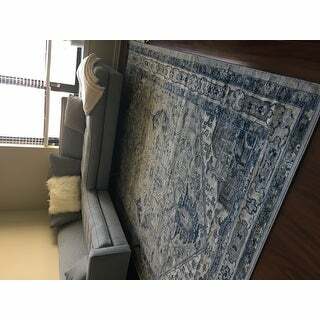 I didn't want anything too formal or Oriental looking and many of the more contemporary rugs with these blues and Grey's have that distressed faded look or the outlines of the design are fuzzy/blurry looking. This rug works great with our tan/grey wood-look tile flooring. 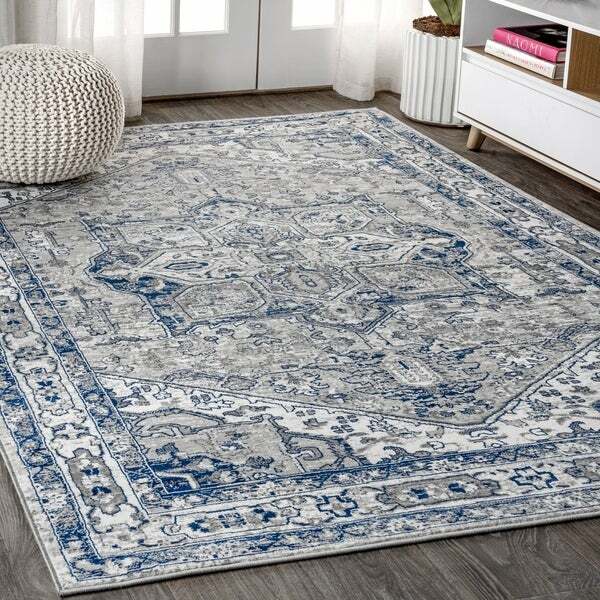 Evry Blue & Light Gray Vintage Heriz Area Rug - 7'10" x 10'3"
Providing a uniquely eye-catching blend of a traditional pattern, unique color, and modern texture, this area rug is designed for style, performance and easy care. This lush cut-pile is power-loomed of high-twist soft polypropylene yarns. And while the design is inspired by antique floor coverings, the low maintenance and synthetic materials are functionally modern. This rug is BEAUTIFUL. I am incredibly impressed by how it looks and feels in your feet. The colors and pattern are just muted enough withought being too distorted and the fabric is soft without being flimsy. We are very happy with our purchase. I love all the rugs at Overstock. This rug has a fabulous texture and the muted colors are beautiful. 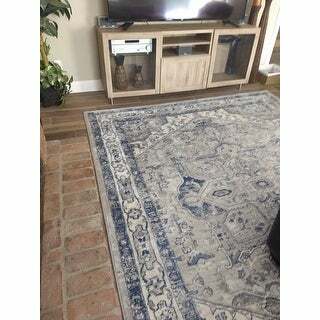 I really like this rug and would purchase it again. Don't hesitate for the price. Best purchase I’ve made in a very long time. Elegant design, durable and the best accent to my dining area! Jonathan Y did not disappoint. Don't normally post reviews immediately. But his rug was true to it's colors on the website and I am pleased. 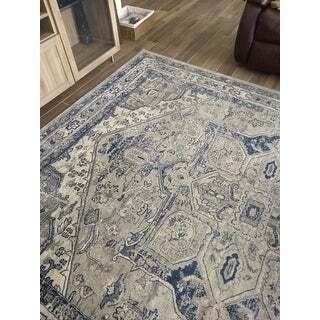 Read the reviews and it is true that this area rug is a little thinner than the other 2 area rugs I've purchased from overstock. So I would suggest a padding on this one. On my other two, they didn't need padding. I love this rug! The colors are vibrant and the quality is awesome for the price point. Would definitely buy again and recommend to friends or family. I recieved this almost overnight. Overstock is great with super fast processing and delivery. The colors on this rug are beautiful and very true to the pictures. Loved it so much I ordered two others in different sizes. Definitely a yes..
Love the color and pattern it perfectly matched my sofa. True to the photo color. Great value and selection of sizes to choose from. Pretty rug mostly gray in color. It is thin and a rug pad should work well to make it just right. Gorgeous rug! Beautiful colors. Love it! Perfect for my walk in closet! Great look and feel. Exactly what I wanted. 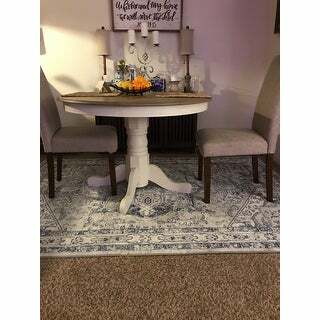 I love this rug, I bought the runner and just ordered a silver shag to go with it. Colors are awesome, doesn't look faded at all like I was afraid of. Pretty pattern. Goes nicely with gray furniture and bedding. A bit thin so needs a pad. Glad I bought it. "When are you getting the other sizes back in stock?" The other sizes will be back in stock in around mid-April. "is there only 1 option for size? i am interested in purchasing the Johnathan Y in blue and grey only."